Julien Behr was born in Lyon. He was awarded the “singers’ revelation of the year” in 2009 by the French musicians’ association ADAMI and was among the 3 nominees in the category “singer’s revelation of the year” at the Victoires de la musique classique in 2013. He entered the Boys’ Choir of the Lyon Cathedral when he was six. He graduated from Lyon University with a Master degree in business law. He however abandoned his plans to become a lawyer in order to devote himself completely to music. In 2010, he graduated from his vocal studies at the Conservatoire National Supérieur de Musique in Lyon. His passion for the theatre - he has played theatre since his early childhood - logically led him to the opera. 2009 was highlighted by his debut at the Festival d’Aix-en-Provence in Offenbach’s Orphée aux Enfers. Soon became Tamino (Die Zauberflöte) the central role of his repertoire. He has performed this role in St Gallen, Bern, Rouen, Bordeaux, at the Opéra de Paris and at the Minnesota Opera for his US debut. He has also performed, among others, at the Festival d’Aix-en-Provence and La Fenice à Venise (Aci in Aci and Galatea), at the Théâtre des Champs-Elysées (Don Ottavio in Don Giovanni), the Opéra Comique (Antonin in Ciboulette), the Opéra de Lyon (Arbace in Idomeneo, Admeto in Alceste), the Opéra de Paris (Mercure in Platée), the Avignon Opera (Camille de Rossillon in La veuve joyeuse), the Opéra national de Lorraine (Ferrando in Così fan tutte), the Opéra national du Rhin (world premiere of Quai Ouest by Régis Campo, Narraboth in Salomé), the Rennes Opera (Ernesto in Don Pasquale), the Cologne Opera (Don Ottavio in Don Giovanni, Gonzalve in L’heure espagnole), the Wiener Festwochen (Jaquino in Fidelio), the Mozartwoche in Salzburg, the Theater an der Wien andl Mostly Mozart in New York (Arbace in Idomeneo) and the Barbican Centre (Gonzalve in L’heure espagnole). In 2017⁄18, he will make his debut in two roles: Fenton in Falstaff at the Vlaams Opera and Edgardo in Lucia di Lammermoor at the Opéra de Bordeaux. Il will also be performing Don Ottavio (Don Giovanni) at the Opéra national de Lorraine and at the Opéra de Lyon. In concert, he has collaborated with orchestras such as Les Musiciens du Louvre, Les Siècles, the Ensemble Matheus, the Orchestre national de Lyon, the Orchestre national de Lille, the Orchestre national des Pays de la Loire, the BBC Symphony Orchestra in London, the Mozarteum Orchestra in Salzburg, the Akademie für Alte Musik Berlin, the Münchner Rundfunkorchester, the Orchestre de la Suisse Romande and with conductors such as Alain Altinoglu, Jean-Claude Casadesus, Charles Dutoit, Laurence Equilbey, Asher Fisch, René Jacobs, Samuel Jean, Fayçal Karoui, Marc Minkowski, Raphaël Pichon, Josep Pons, Jérémie Rhorer, François-Xavier Roth, Sébastien Rouland, Leonard Slatkin, Jean-Christophe Spinosi and Nathalie Stutzmann. His discography includes Pergolesi’s Septem verba a Christo (Harmonia Mundi, 2012) as well as Mélodies by Charles Koechlin (Timpani records, 2015) and L’heure espagnole (BR Media 2017). The production of Ciboulette at the Opéra Comique has been released in DVD. 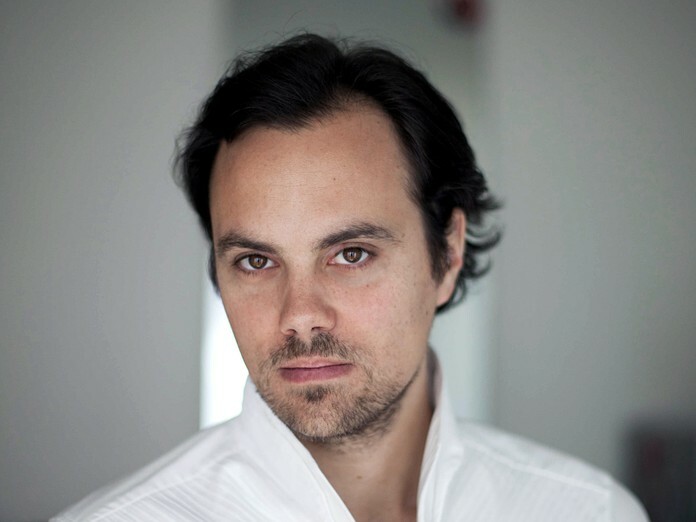 Julien Behr is godparent of the association “El Sistema” in France whose goal is to support children in difficulties by providing them with an intensive musical education and musical practise.